Upon receipt by Internal Affairs, complaints are reviewed for potential violations of the Spokane Police Department Code of Ethics (PDF 365 KB)and are classified as an investigative inquiry or for formal investigation. In general, inquiries are questions about employee conduct which, even if true, would not qualify as a personnel complaint. Investigative inquiries are not subject to certification however pursuant to Spokane Municipal Code Section 04.32.030 (I), the Ombudsman may appeal the classification to the Chief of Police and, if necessary, to the Mayor. Certified: The Ombudsman has certified the Internal Affairs investigation as timely, thorough, and objective. Concur(Investigative Inquiries only): After reviewing the complaint and associated records, the Ombudsman agrees with reclassification of the complaint as an inquiry. Declined Certification: The Ombudsman has declined to certify the Internal Affairs investigation as timely, thorough, and objective. 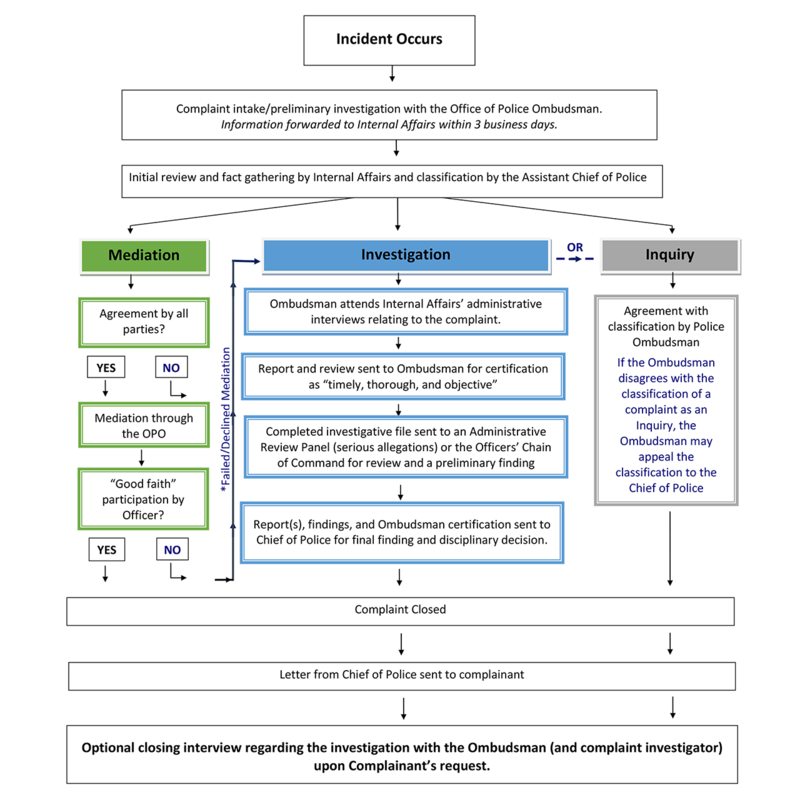 To assist in identifying where complaints are occurring, the Office of Police Ombudsman has categorized complaints according to the City's legislative districts where the complaints occurred.